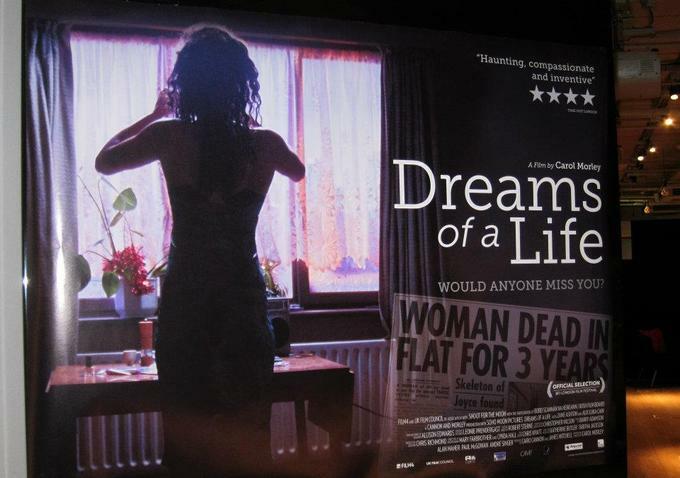 Carol Morley's critically-acclaimed docudrama Dreams of a Life, which stars Zawe Ashton (Fresh Meat, Misfits), is scheduled for an initial limted cinema release on the 16th December. Nobody noticed when Joyce Vincent died in her bedsit above a shopping mall in North London in 2003. Her body wasn't discovered for three years, surrounded by Christmas presents she had been wrappin, and with the TV still on. Newspaper reports offered few details of her lifee - not even a photograph. Who was she? And how could this happen to someone in our day and age - the so-called ager of communication? For her film Dreams of a Life, filmmaker Carol Morley set out to find out. Joyce may have died in tragic isolation, but Morley was not going to let her be forgotten. She placed adverts in newspapers, on the internet, an on the side of a London taxi. What she finds out is extraordinary. A range of people that once knew Joyce help piece together a portrait of the woman that became so forgotten. "She was very sweet, beautiful looking, a bit of a mystery. We weren't too sure where she came from. It's almost like she was a ghost, even then". Dreams of a Life becomes as much about the people who remember her as it is about Joyce herself.